Want to know a secret? Your finger is the key! SOCAR offers state of the art cars with technology imported from South Korea. Every SOCAR is modified and hand-picked internally to provide you the best experience. 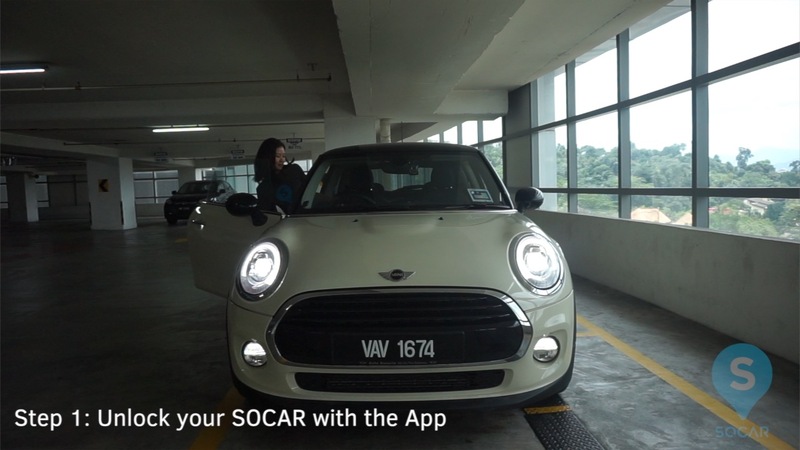 Each SOCAR operates under a push-start system. This means say goodbye to keys and say hello to the future! After reserving a SOCAR, you may proceed to unlock the reserved vehicle with our SOCAR app’s key page (second tab on the left). When you’re seated in the driver’s seat, you should apply the brake then press and hold the engine start/stop button until your engine turns on. To turn off your car, make sure your car is in the parked gear, then press the engine start/stop button until the engine shuts off completely. It’s unnecessary to apply the brake when you push the stop button. You may want to apply the parking brake to ensure you take the extra safety step. Have a safe journey ahead! And remember to buckle your seatbelts! Hi Kian Voon, we all our mini coopers all around klang valley. If you have any inquiries, feel free to write to help@socar.my.